MindCrea Ltd was started on the 1st of April, 2004. The foundation was the long experience in working with the international high-tech industry and professionals. The first steps of my EDA career started at the Computer Science Department of Helsinki University of Technology in 1971, working with the Science Council of Finland creating a graphical design system for thin film hybrid circuits, finally doing the MSc on the subject, additionally with Systems Theory and Mathematics. The work continued in building a real-time data communication system for banking, then starting the CAD department for Nokia, moving to DEC, finally managing Nokia as a major account. The 2nd time at Nokia brought into working in marketing for CAE including everything from artificial intelligence, mechanical and electronics CAD/CAE down to documentation and services. The next invasion to the industry was Mentor Graphics, moving the EDA tools and flows really onto the desks of engineers, working years all around the world Nokia and its partners as target. This included special projects in integrating Nokia internal technology in analog design, APLAC, as a part of the Mentor flow, and also development cooperation in HW/SW Seamless simulation. 1996 was the real start of moving ready-to-go Intellectual Property into the clients’ designs. Inventra got known all around the high-tech industry in every corner of the world, with too much air mileage. Back to Europe with Synopsys, building the all-European sales organization for Consulting Services and Special Systems, and helping to integrate a major design service house into the organization. 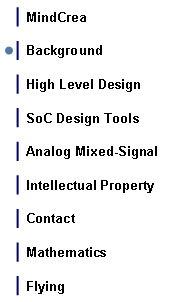 MoSys, Monolithic System Technology, was again an IP company, getting to know hundreds of engineers in Europe working with SoC solutions and embedded memory technology. With MindCrea the path continues, with great Customers, Partners and Technology. This is the console of the PDP-15/76 computer, which was the machine for the very first industrial Computer Aided Design system in Finland. It was installed at Nokia Electronics in September 1974, and my team was working day and night pushing out numerous designs to production. The main CPU was 18-bit machine in five 6’ cabinets, with 32kWords of core memory and the fantastic VT15 Kratos vector display with lightpen. 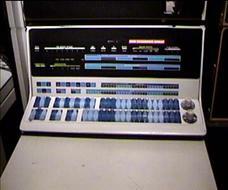 The auxiliary processor was PDP-11/10 with 32kBytes of memory controlling the two RK05 removable disk drives, each 5Mbytes. The backup device was the famous DECtape, 0.75” wide, 4” reels, each containing 128kWords each 18 bits. The boot was read using fan-folded papertape, to the octal location of 20000 of the PDP-11, started it at 120000, then continue reading the tape into PDP-15 at address 77637, starting the DOS-15 operating system.